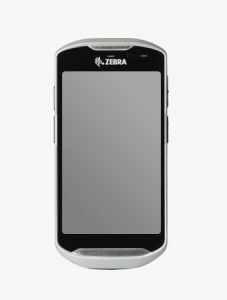 Die Zebra MC67 Base und Premium Handhelds sind äußerst robust (IP67) und per­formant, verfügen über ein VGA-Touch-Dis­play (3,5 Zoll), eine leistungsfähige Kamera und sind für den professionellen Einsatz im Stückgut- und Ladungsverkehr geeignet. Dabei bestechen die Handhelds durch die umfassenden, integrierten Funktionalitäten. Für den Einsatz auf der Straße bietet TIS außerdem die TISPLUS Fahrzeughalterung für Zebra MC67 an (ebenso geeignet als Fahrzeughalterung für Zebra MC65 und Zebra MC55). 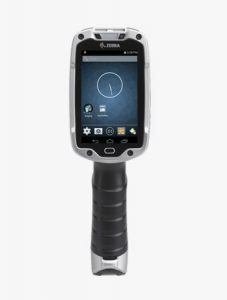 Die robusten Handheld Terminals bieten alle aktuellen Verbindungsstandards in einem Gerät: UMTS/HSPA, GPRS/EDGE, WLAN, Bluetooth® und GPS. Damit sind nicht nur Sprach- und Datenkommunika­tion, sondern auch Navigationslösungen über ein einziges Gerät möglich. Aktivieren und reaktivieren Sie Ihren MC67 Handheld in praktisch jedem Mobilfunknetz der Welt, ohne netzwerkspezifische Endgeräte kaufen zu müssen (GSM oder CDMA). Die Zebra MC67 Base und Premium Handhelds können in den unterschiedlichsten An­wendungsbereichen eingesetzt werden. 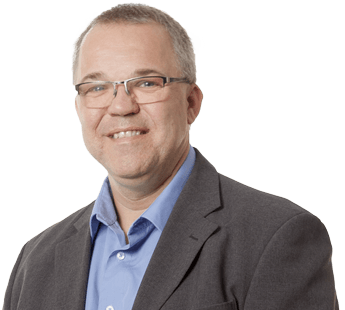 Neben der kompakten Bauform sind die einfache Bedienbarkeit, die hohe Flexibilität der Mobilgeräte und ihr leichtes Gewicht Merkmale, die insbesondere auch die Akzeptanz beim Anwender erhöhen. Die Experten bei TIS haben spezielle Gehäuse entwickelt, mit denen in verschiedenen Mobilen Daten-Terminals Transponder oder Smart Card Reader integriert werden können. Bitte benutzen Sie diesen Bestellschein, um direkt bei uns Verbrauchsmaterialien für Ihren Zebra MC55/ 65/ 67 (ehemals Motorola) zu bestellen. 25-112560-01R | MC55/MC65 Charge Only Cable. Charging requires Power Supply (PWRS-14000-249R) and country specific two wire ungrounded AC power line cord. 25-127558-02R | MC55/MC65/MC67 DEX Cable. Enables the transmission of data between the MC55/MC65 and the customer’s inventory system at the time of delivery. 25-68596-01R | USB Client Communication Cable for Cradle to the host system. VCD5500-1001R | Provides secure mounting of the MC55/MC65 in a vehicle. Charges the MC55/MC65. SAC5500-400CES | 4 Slot Battery Charger Kit (US). Kit includes: 4 Slot Battery Charger SAC5500-4000CR, P/S PWRS-14000-148R, and US AC Line Cord 23844-00-00R. SAC5500-401CES | 4 Slot Battery Charger Kit (INTL). Kit includes: 4 Slot Battery Charger SAC5500-4000CR, P/S PWRS-14000-148R, Buy country specific 3 wire AC Cord separately. CRD-MC5X-RCHG1-01 | MC55/65/67 Single Slot USB charging cradle w/ spare battery charging. 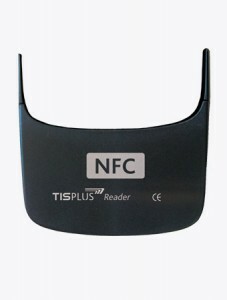 Supports MC55 RFID Sled. Provides USB Communication between the MC55/65/67 & host computer. Requires PWRS-14000-148R & country specific three wire grounded AC line cord. CRD5501-4000CR | MC55/MC65 Four Slot charge only cradle charges four terminals at one time. Requires Power Supply PWRS-14000-241R, DC Line Cord (50-16002-029R) and country specific three wire grounded AC power line cord. CRD5501-4000ER | MC55/MC65 4 Slot Ethernet charging cradle. Charges and provides Ethernet connectivity to 4 terminals at one time. Requires Power Supply PWRS-14000-241R, DC line cord 50-16002-029R and country specific 3 wire grounded AC power line cord. 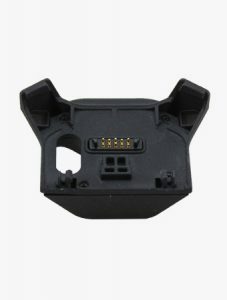 CRD5500-1000UR | MC55/MC65/MC67 Single Slot USB charging cradle with a bay for spare battery charging. Provides USB communication between the MC55/65/67 and a host computer. Requires Power Supply PWRS-14000-148R and country specific three wire grounded AC power line cord. CRD5500-100UES |Single Slot Cradle Kit (US).Kit includes: Single Slot Cradle CRD-MC5X-RCHG1-01, P/S PWRS-14000-148R, and US AC Cord 23844-00-00R. CRD5500-101UES Single Slot Cradle Kit (INTL). Kit includes: Single Slot Cradle CRD-MC5X-RCHG1-01, P/S PWRS-14000-148R, Buy country specific 3 wire AC Cord separately. CRD5501-401CES | 4 Slot Charge Only Cradle Kit. Kit includes: 4 Slot Charge Cradle (CRD5501-4000CR), Power Supply (PWRS-14000-241R), DC Cord (50-16002-029R), Buy country specific 3 wire AC Cord separately. CRD5501-401EES | 4 Slot Ethernet Charge Cradle Kit includes: 4 Slot Ethernet Cradle, Power Supply PWRS-14000-241R, DC Cord 50-16002-029R, Buy country specific 3 wire AC Cord separately. 23844-00-00R | US AC line cord, 7.5 feet long, grounded, three wire for power supplies. Associated Countries: United States. 50-16000-217R AC Line Cord, 1.9M, grounded, three wire, AS 3112 plug. Associated Country: Australia, New Guinea. 50-16000-672R AC | Line Cord, 1.9M grounded, three wire, S132 Plug. Associated Country: Israel. 50-16000-727R | AC Power Cord, 18AWG, 250V, 16A, BR (3w). Associate Country: Brazil. STYLUS-00001-10R | Spare spring loaded stylus. 10 pack. VCH5500-1000R | Vehicle Holder Mount. 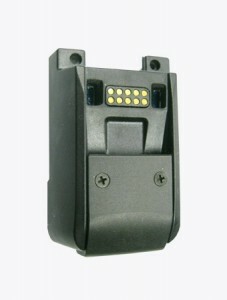 Accommodates the MC55/MC65 with the standard and extended battery. MSSBE-MC67XX-30 | 3 Year Service from the Start Bronze with Device Management. Includes Comprehensive Coverage. Does not include coverage for cradles. Minimum of 500 devices required. Available in the US and Canada only. MSSGE-MC67XX-30 | 3 Year Service from the Start Gold with Device Management. Includes Comprehensive Coverage. Does not include coverage for cradles. Minimum of 500 devices required. Available in the US and Canada only. SCE-CRDSLOT1-10 | 1 Year Zebra OneCare Service Center Essential. Does not include Comprehensive Coverage. SCE-CRDSLOT1-30 | 3 Year Zebra OneCare Service Center Essential. Does not include Comprehensive Coverage. SCE-CRDSLOT4-10 | 1 Year Zebra OneCare Service Center Essential. Does not include Comprehensive Coverage. SCE-CRDSLOT4-30 | 3 Year Zebra OneCare Service Center Essential. Does not include Comprehensive Coverage. SCE-MC67XX-10 | 1 Year Zebra OneCare Service Center Essential. Does not include Comprehensive Coverage. Does not include coverage for cradles. SCE-MC67XX-30 | 3 Year Zebra OneCare Service Center Essential. Does not include Comprehensive Coverage. Does not include coverage for cradles. SSE-MC67XX-10-R | 1 Year Zebra OneCare Essential Renewal. Includes Comprehensive Coverage. Does not include coverage for cradles. SSE-MC67XX-30 | 3 Year Zebra OneCare Essential. Includes Comprehensive Coverage. Does not include coverage for cradles. SSE-MC67XX-50 | 5 Year Zebra OneCare Essential. Includes Comprehensive Coverage. Does not include coverage for cradles. OPT-MC67-BATMNT-30 | 3 Year MC67xx Premium Battery Maintenance Option for the MC67 battery. Cannot be ordered alone. OPT-MC67-STBT-30 | 3 Year MC67xx Standard Battery Maintenance Option for the MC67 life battery. Cannot be ordered alone. OPT-MC67XXFSTRK-20 | Fastrack option must be purchased together with a 2-yr Zebra OneCare Select agreement renewal-Available in the UK, Belgium and Netherlands only. OPT-MC67XXFSTRK-50 | Fastrack option must be purchased up front with the hardware (or within 30 days thereafter), together with a 5-yr Zebra OneCare Select agreement-Available in the UK, Belgium and Netherlands only. 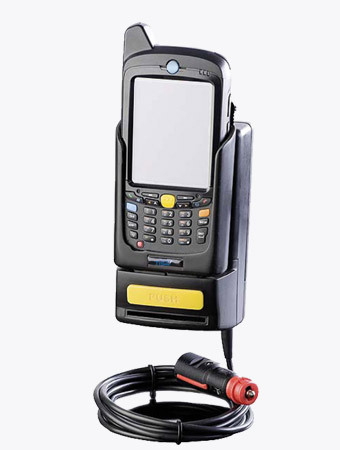 MSR5500-100R | MC55/MC65 Magnetic Stripe Reader. Reads all 3 tracks of a magnetic stripe card and accomodates power and communication pass through while cradled in a single slot or four slot cradle as well as when a charging cable is attached. 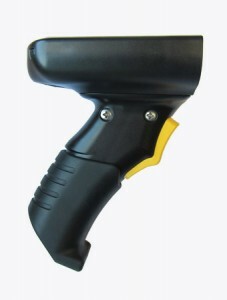 TRG5500-101R | MC55 Snap on Trigger with extended handle. SG-MC5511110-01R | MC55/MC65 Hard case rigid holster with large swivel clip for rugged applications. 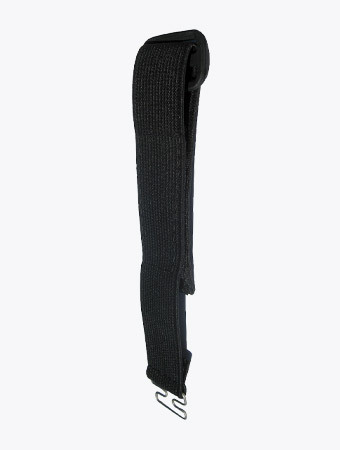 SG-MC5521110-01R | MC55/MC65 Soft Case holster with attached hard belt clip. SWS-AIRWTCHDIST-10 | "DISTRIBUTOR / CHANNEL ONLY. 1 YR Software Support for Airwatch Rugged Perpetual license. Includes Technical support and sofware updates for in premise deploymnets. Prices per support license. Minimum order qty of 25 support licenses." SWS-AWTCHDIRECT-10 | "DIRECT SALES ONLY 1 Yr Software Support for Airwatch Rugged Perpetual License. Includes tech support and SW updates for ON PREMISE Deployments. 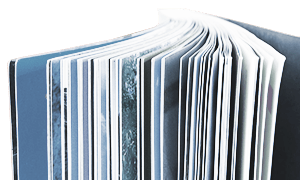 Priced per License supported.Minimum order quantity for support is 25 Licenses. Custom Quoted "
MC67NA-PDABAB00500 | HSPA+, 802.11a/b/g/n, Imager, Camera,1GB/8GB, Numeric, WM6.5, 1.5X. 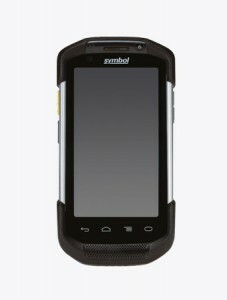 MC67NA-PDABAA003IN | HSPA+, SE-4500 + CAM, 512MB/2GB/GPS, QWERTY, 802.11A/B/G/N, WEHH, India-Only. AF1GUDI-MOT1-10P | ATP 1GB Industrial Grade (10 pack) microSD flash memory card designed and tested for rugged mobile computing and intensive program/erase operation. For use with MC95, MC55, MC75, MC75A, MC65, ES400. This is a Validated Product. AF2GUDI-MOT1-10P | ATP 2GB Industrial Grade (10 pack) microSD flash memory card designed and tested for rugged mobile computing and intensive program/erase operation. For use with MC95, MC55, MC75, MC75A, MC65, ES400. This is a Validated Product. AF2GUDI-MOT1-1P | ATP 2GB Industrial Grade (1 pack) microSD flash memory card designed and tested for rugged mobile computing and intensive program/erase operation. For use with MC95, MC55, MC75, MC75A, MC65, ES400. This is a Validated Product. AF4GUDI-MOT1-10P | ATP 4GB Industrial Grade (10 pack) microSDHC flash memory card designed and tested for rugged mobile computing and intensive program/erase operation. For use with MC95, MC55, MC75, MC75A, MC65, ES400. This is a Validated Product.